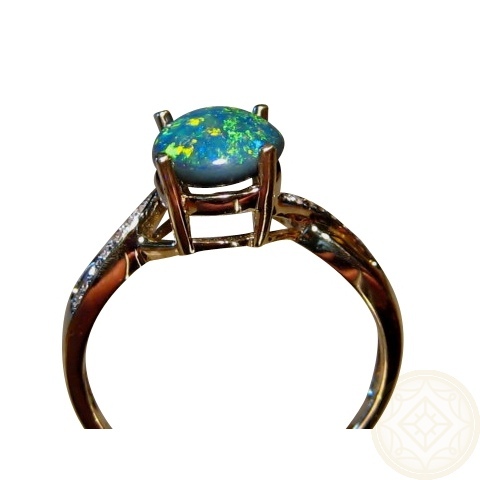 Elegant Black Opal and Diamond ring with Green and Gold patches of colors. 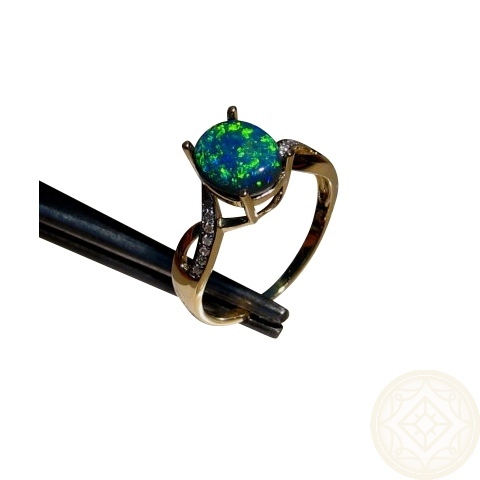 A Black Opal ring with Diamonds that is elegant and sophisticated. 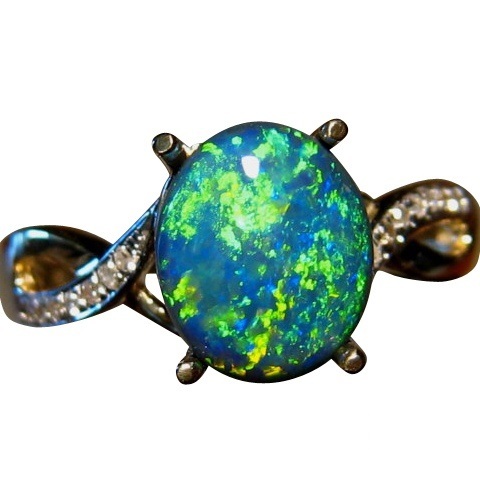 The natural Lightning Ridge Black Opal is just over one carat and has very bright Green and Gold color in a small patch pattern. The band curves and crosses over on each side with seven small quality Diamonds on one section, each side. A beautiful ring that could be considered as an engagement ring or for any occasion. 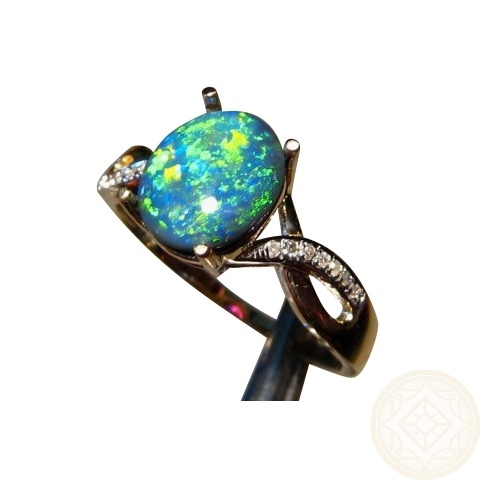 The prongs will be brought down to secure the Opal for a professional finish on completion of sale. This also means it can be set into a different ring or even a pendant setting. Contact through this product for assistance if you would like this option. Ready to ship as advertised or will take 14-21 days for a different ring size or Gold color.